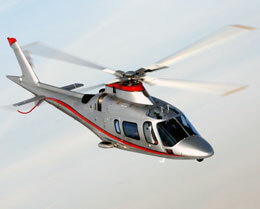 The AW119 KE (Koala Enhanced) is a light, single-turbine helicopter, produced by AgustaWestland of Italy. The AW119 KE was designed as an improved development of the AW119 Koala, featuring increased maximum takeoff weight and improved flight performance and range. 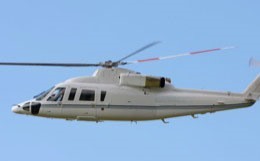 The AW119 KE can accommodate up to seven passengers in its heated, air-conditioned, insulated and soundproofed cabin with a maximum cruise speed of over 160 mph and a range of 629 nautical miles. Originally announced in 1995 at the Paris Air Show, the AgustaWestland AW119 Koala was subsequently certified in 1998 and delivered its first unit in late 2000. Seven years later, an upgraded version was introduced to enhance the model, including a significant fuel economy improvement. AgustaWestland originally introduced the Koala as a modern interpretation of a high performance, single-engine helicopter that could tackle a wide variety of possible missions. The highly respected helicopter manufacturer has shown great flexibility in previous models and the Koala is no exception to that standard. With typical operations ranging from VIP/executive transport, fire fighting missions, and emergency medical services, the Koala is one of the most dynamic aircraft in the world. 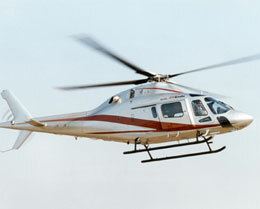 It has a conventional four-blade main rotor with a notably large rectangular door window. Structurally similar to the AW109 series of helicopters by the same manufacturer, the Koala Ke is a sleek, single-engine solution for those looking for the impressive performance characteristics and versatility of AgustaWestland aircraft. The AW119 Koala Ke has a number of attractive selling points which make it an alluring option for a variety of missions. Beyond its notably impressive performance characteristics, this single-engine, eight-seat helicopter is notably wide, providing a generous 5' 6" cabin width to its passengers. With helicopters being known for their typically cramped interiors, the Koala Ke is one of the most definitively spacious travel options in its class. Among other features such as fire fighting equipment support, the Koala Ke also can be configured to seamlessly support two litters along with medical attendants for medevac operations. 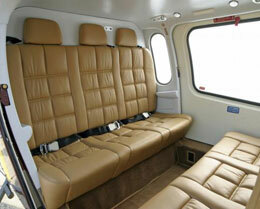 Contrastingly, most competing aircraft specializing in medical response are only large enough for a single litter. Regardless of the mission at hand, space is always a valuable commodity in air transport operations. And as far as space goes, very few helicopters are able to match the combination of usable space and mission flexibility the Koala Ke provides. If you are looking for a spacious, versatile, high-performance helicopter, the AW119 Koala Ke is a definitely an attractive option. 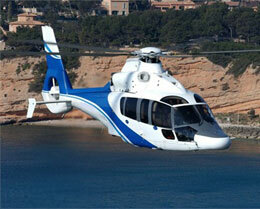 An upgrade of the original AW119 Koala, the Koala Ke is a more fuel-efficient, superior version. With a brand new, state-of-the-art main rotor, the Ke has greatly improved performance at suboptimal altitudes and temperatures. This increases the overall flexibility of an already versatile aircraft. Its 505 nautical mile range provides a wide radius for fast and efficient transport. Its P&W PT6B-37A engines are provided by Pratt & Whitney, one of the most reputable and reliable engine manufacturers in the world. The Koala Ke model is also being certified for advanced avionics, which will redefine how information is displayed in the cockpit. Garmin's G1000H avionics suite is a state-of-the-art integrated flight instrument system. Removing several instruments from the control panel while consolidating the integral displays, the new avionics will be sure to create a much more concise and intuitive cockpit for operators. As a result, the pilot will have increased situational awareness and reduced workload, making it easier to manage flights safely and efficiently. For more information about chartering, leasing or buying a AW119 Ke please contact us by calling +44-20-3874-8091 or send us an email here.